Hot on the heels of Apple's 2019 iPad Air and Mini announcements, a Geekbench ranking has appeared for one of the tablets — though it's uncertain which. 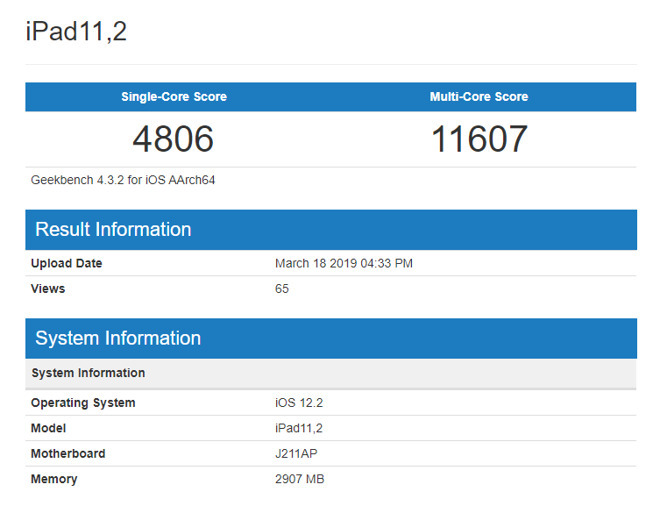 Posted under the heading "iPad11,2," the benchmark identifies the iPad as having a 2.49-gigahertz processor, iOS 12.2, and 3 gigabytes of RAM. 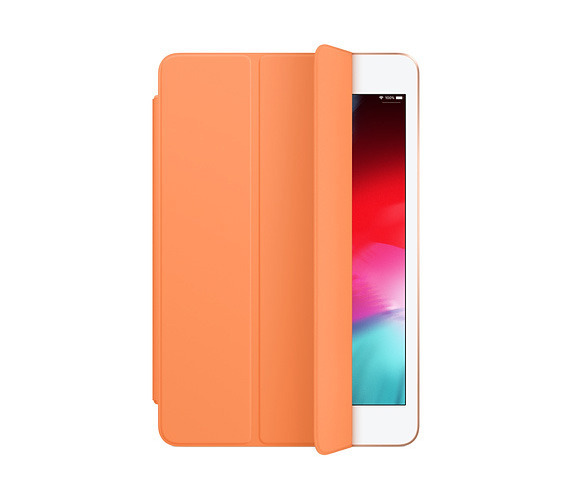 That's a gigabyte less than 2018 iPad Pros, but one more than that year's 9.7-inch "budget" iPad. The hardware could be either an Air or a Mini, since both have a 64-bit A12 processor, the same found in 2018 iPhones. Modern iPad Pros are equipped with an A12X. The unknown device's single-core Geekbench score is 4,806, while multi-core performance sits at 11,607. That puts it roughly on par with the iPhone XS Max, which in AppleInsider testing managed scores of 4,828 and 10,355, respectively. iPad Pros are naturally faster, with one listing showing scores of 5,030 and 17,995. That's within spitting distance of a 15-inch MacBook Pro. The updated Air and Mini models are largely performance upgrades, with few feature or cosmetic changes. Non-processor enhancements include True Tone displays, up to 256 gigabytes of storage, and first-generation Apple Pencil support.